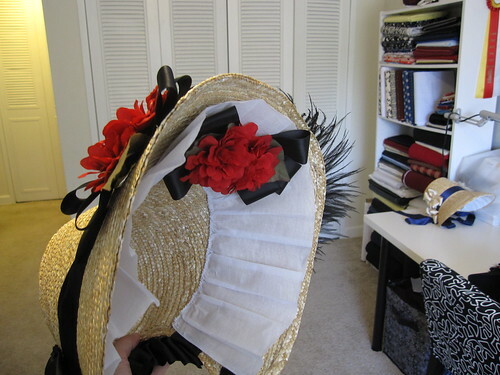 I’m working on accessories for Costume Con, in this case headwear. 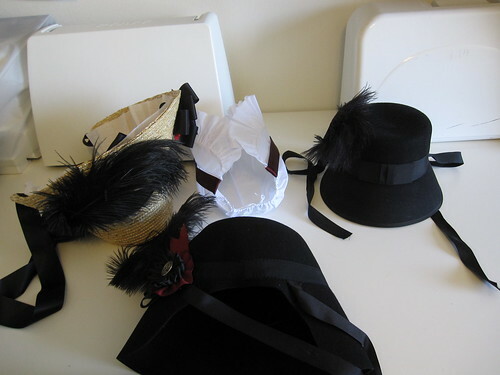 I’m going to be wearing mostly outfits that I’ve worn once elsewhere, due to time constraints, but I wanted to brighten them up with accessories. 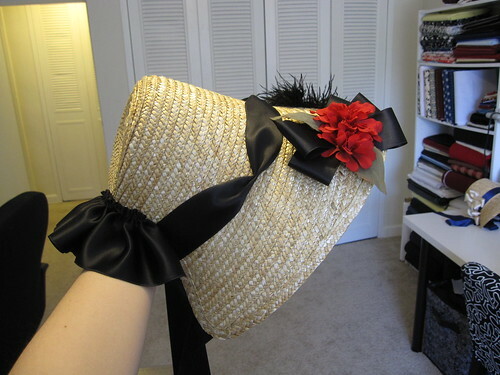 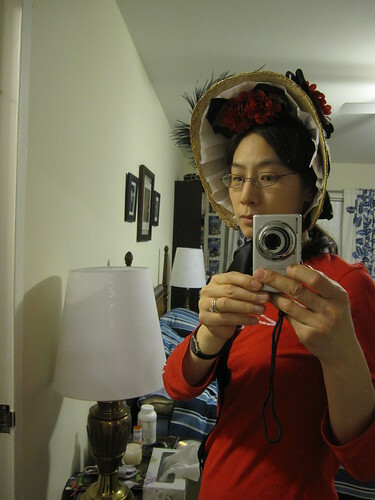 First up was a spoon bonnet to go with my black 1860s day dress.